While Tesla Motor (s TSLA) execs are heads down developing a massive battery factory that can lower the cost of batteries for its cars, the analysts at Lux Research believe that Tesla can significantly lower car costs by turning to more efficient next-generation power electronics, beyond the standard use of silicon. Lux said that advanced, more efficient power electronics can reduce the energy used by the battery by 20 percent, which means the cars can use a smaller battery, and reduce overall cost of building a car by 8 percent, which would be $6,000 off the cost of the Model S.
These next-gen power electronics can be made from “wide bandgap semiconductors,” like silicon carbide and gallium nitride. These materials can operate at higher temperatures more efficiently, and Lux Research said in a report released Tuesday that silicon carbide, which is closer to market than gallium nitride, could displace silicon used in power electronics in electric vehicles by 2020. Graph courtesy of Lux Research. Are these materials being made in sufficient volumes to hit the projections of Tesla’s growth in its cars? The company wants to build 500,000 cars by 2020. Of course, this all depends on how quickly these markets can develop. But perhaps if Tesla became a substantial customer, it would push these markets for next-gen power electronics for electric cars. 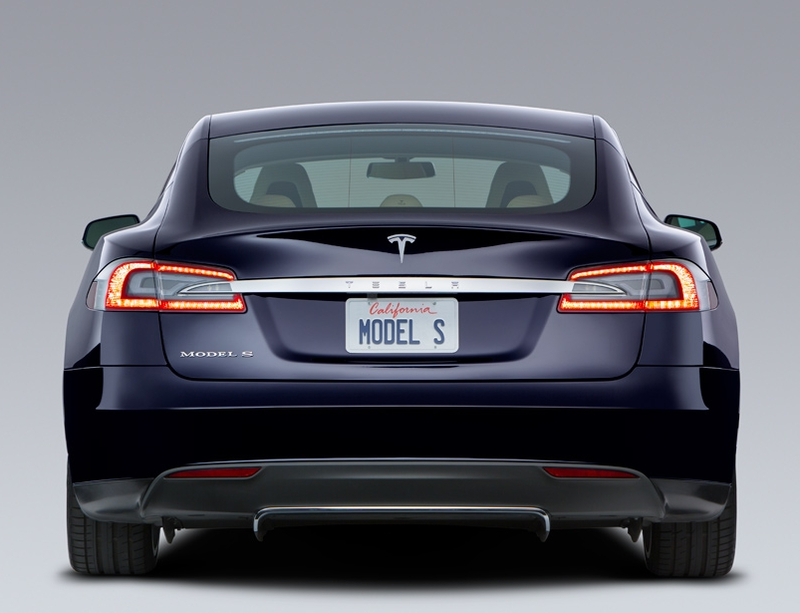 Tesla Model S, image courtesy of Tesla. Some startups and university researchers are trying to make gallium nitride and silicon carbide more economical. Transphorm is making power electronics devices from gallium nitride. The Department of Energy, through its ARPA-E program, awarded grants to projects using wide band gap semiconductors for power grid applications. Other electric car makers like Nissan and GM, which are building cars with smaller, less powerful, batteries, might not see these same types of cost and energy savings with these power electronics. The energy savings would have to be greater than five percent to benefit the cars with smaller batteries, and it could be as low as two percent for a Tesla car. GaN is cheaper than SiC and will be for a long time as they’re anchored by the LED industry. Furthermore polar orientation of GaN that is most widely used is actually a inefficient form of the material and can be improved by a recipe change making it more polar. No new tools needed. Lastly Tesla could save $6k on their battery packs by utilizing larger format, actively managed cell cycling rather than the pack cycling (all you need is a competent asic designer) and a better chemistry like LFP. Well, Tesla is planning on making an All-Wheel-Drive version of the Model S. An AWD platform would be significantly heavier than a rear-drive platform. 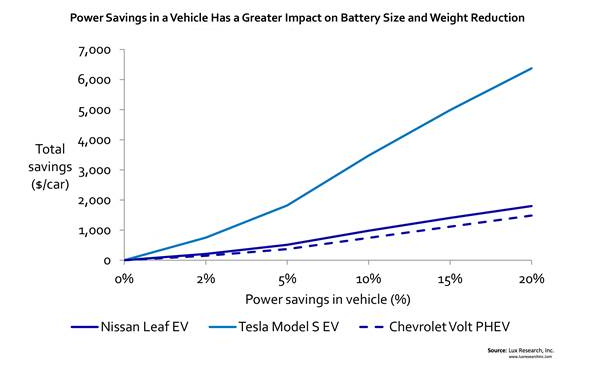 If the power usage can be cut down by 20 percent and therefore requiring smaller batteries, that should shed enough weight from the existing battery to compensate for the weight gained by a new AWD platform. I am not sure what Lux is referring to. Silicon Carbide power semis have been in production for a while. Even without SiC switch mode power conversion has been well over 90% efficiency for two decades. Now it is generally in the 95%+ range. So it is unclear where the 20% improvement they are referring to is coming from. This analysis is fundamentally flawed in that it assumes that the semiconductor losses in a DC-AC inverter could somehow be reduced in a similar manner to the efficiencies realized in DC-DC converters where efficiencies are gained largely by increasing the frequency of operation. Due to the fundamental limitation of current designs of AC induction motors which invariably utilize and are designed around silicon steel laminates there is not an option to significantly increase frequency of operation due to the intrinsic limitation of electric and magnetic losses associated with traditional silicon steel laminates. In other words a prerequisite for leveraging the benefits of WBG semiconductors in EV motors is a fundamental redesign of AC induction motors. Itâ€™s a similar case for permanent magnet AC drive motors and the case is even worse for switched reluctance motors which in my opinion are a step back in time. As far as I can see this prospect of a new EV motor design topology is not even on the drawing board of the leading EV companies like Tesla who specialize in optimizing the antiquated 130 year old AC induction motor. Far less the traditional automotive companies who are hopelessly lost in this race for advanced green energy drivetrains. My most optimistic view is that it may well take until 2020 for the current stakeholders to realize that current EV motor technology based on DC-AC Inverters and silicon steel laminates is a dead end and a further 10 years to adopt highly disruptive alternatives based on new soft magnetic materials to replace laminated silicon steel. One of the lossiest components in switchmode power conversion is the freewheeling diode. The losses are called reverse recovery losses. These are pretty much eliminated by schottky diodes. However silicon schottky’s have relatively low reverse breakdown voltage. Silicon Carbide Schottky’s have much higher reverse breakdown voltages allowing them to be used in higher voltage power conversion systems. I would be surprised if Tesla was not already using them. Arkansas Power Electronics Inc. (http://www.apei.net/) is a leader in this space and developed cutting edge technology for plug-in hybrids. The work recently received a R&D 100 award. I am in no way affiliated with them but they are a local company. Who would spend $100k on a car that could not win a race from NY to Pittsburgh against a 1971 Chevy VEGA? I, Rory Finch, would. I also bought a new phone (people call it a smartphone) that has worse reception than an ATT phone in 1971 and costs much more. @James Hoyt You again. Go back into your hole and be quiet. I have commented you on so many discussions and you never say anything other than this stupid comment. I have no idea if that comparison is true or not, but honestly, how is the time it takes to get from NY to Pittsburgh an important factor in buying a car? It illustrates that electric cars are not for everyone. Thousands of gas powered cars travel long distances in northern climates each year reliably and without fanfare. When an EV does this, it generally becomes a headline. In some cases I’ve read that EV drivers had to slow to 55 on Interstates and turn off the heat or air in attempts to make the next charging station. Sometimes they didn’t make it. Recall the unfortunate model S driver who attempted a trip from Barstow CA to Kingman AZ (202 miles). He charged for 247 miles and ended up stranded in the middle of the desert at 2:00am. You can Google it. I say all this because some people are very critical of my choice of a gas car. A few have been quite vocal. Very simply, at present, EV’s are not for everyone. For a sports minded family of four, where will the ski rack go? Where can they hang their bicycles? What will tow their 3,500 lb Bayliner? What can cruise at 75 to the ski areas west of Denver? I-70 has virtually every battery killer known: high altitudes, steep grades, cold temps, high speeds. EV’s have a place and within that place they are very good and make perfect sense. Perhaps in the future, they’ll equal gas powered cars in every way. But not yet. I guess we’ll see you in your Chevy Vega. Wasn’t that one of the smokiest cars ever built? Me. If I had more money than I knew what to do with. I honestly prefer not owning a car though. Community living FTW. 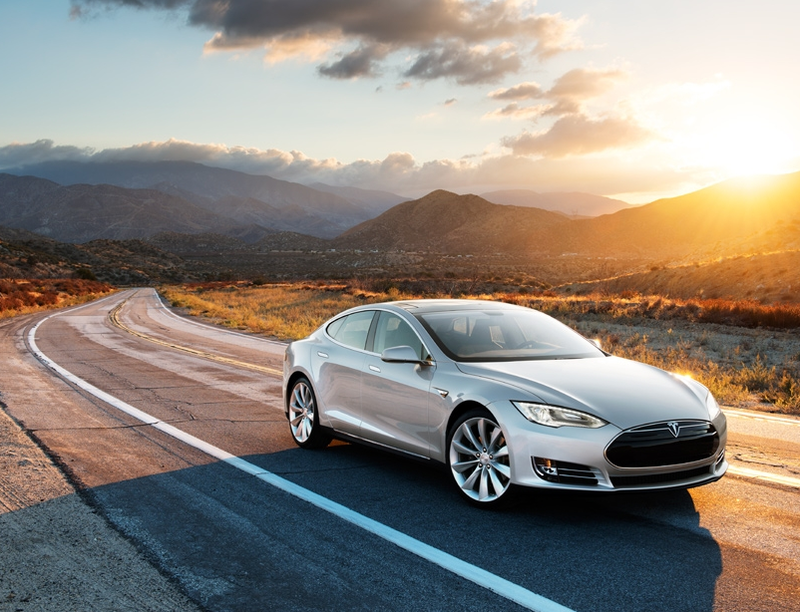 By this logic, the electronics would be consuming more than 20% of the total electricity in a Model S. This sounds highly exaggerated – the drivetrain and HVAC should be consuming much more than 80% of the total electricity.